The beginning of a new year marks a time for change, letting go of the old and allowing new energy to transform one’s life. Through the end of January 2019, Sarah Pryor is offering $30 off her Divine Soul Readings. The beginning of a new year marks a time for change, letting go of the old and allowing new energy to transform one’s life. Most people want more joy in their lives, but they don’t know how to make the needed changes to manifest more positivity. They need a bit of guidance to set them on the right path. Through the end of January 2019, Sarah Pryor is offering $30 off her Divine Soul Readings. Those who book this offer will also receive a free life coaching session, and those who are local will also receive a $20 credit toward a session of massage therapy, golf performance training, holistic lifestyle coaching, or Jin Shin Jyutsu with Sarah’s associate, Stan Margerum. 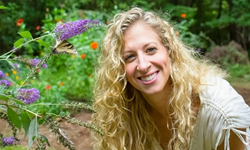 Sarah focuses on giving people something to hope for, which is often related to “something to do” and “someone to love.” Life coaching can address major areas of life such as work, love, and health, and Divine Soul Readings are a great place to start by reading the energy around what is currently happening in one’s life. from the University of North Carolina at Chapel Hill. She is a licensed massage therapist (#3454), and is trained in Reiki, yoga, Soul Coaching©, and intuitive life coaching. Sarah Pryor can be reached by phone at 919-427-9366, or on her website at https://www.sarahpryor.com. Her practice, InnerEssence, is located at 40100 Moring, Chapel Hill, NC 27517.